Found this in my Archives. I think this was taken shortly after I made the cradle for the EQ6Pro Tripod Mount. Note the right angled eyepiece on the spotter scope and the modified Orion focuser remote motor control. I also made a cradle for the home brew 8" DOB. They were highly successful, with quick release case fasteners. Geesuz mate. That scope is next level. Great planetary. Do you still have this? Hi Ray, Yes. I still have all of my Astro equipment, I did at one stage think of putting it up for sale, but there is over $K5 invested in that to replace it, including accessories, plossls etc. I still have the original wooden DOB mount and they are all in mint condx. Plus my camera adapters both commercial and custom made. The EQ6Pro by Sky Watcher is great mount. 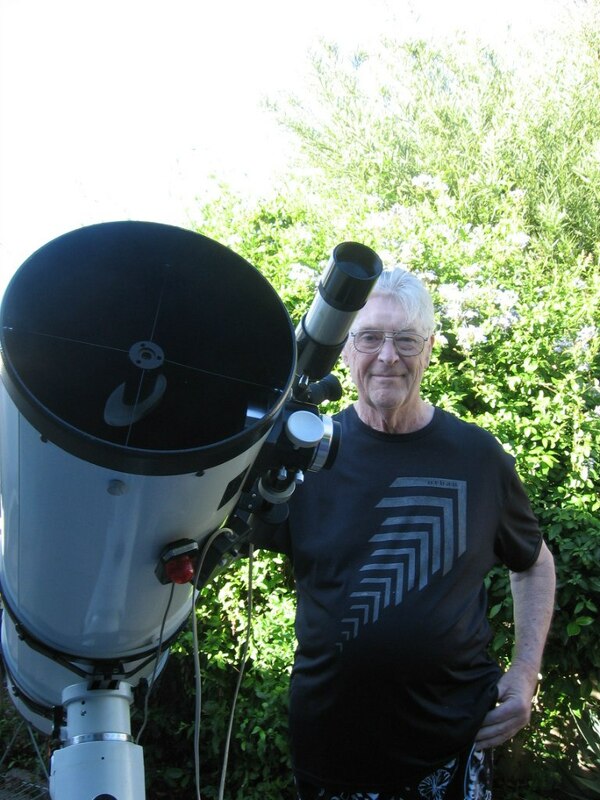 But I do not think there are as many serious Amateur Astronomers as of yesteryear these days. The very few supporting Astro Forums and sites has declined considerable over the years. I have resolved the lifting problem. I found a long length of thick wall 2" thick wall (1/4") Aluminium Mast pipe. I am going to mount it on one of the beams of the back patio roof, with a block and tackle to lift the 10" onto the EQ6. Will get my son to assist me next time he is in Perth. Awesome idea mate. Love to see a photo of that. Otherwise maybe a scope trolley (or similar) could be useful. And yes, Facebook killed a lot of specialty forums. I'm resilient, we'll weather Zuckerberg's storm.